The BLM Billings Field Office and USFS Custer Gallatin National Forest are working in conjunction with the National Speleological Society’s Northern Rocky Mountain Grotto to conduct cave inventory and monitoring of cave resources on BLM and USFS lands in the Pryor Mountains. 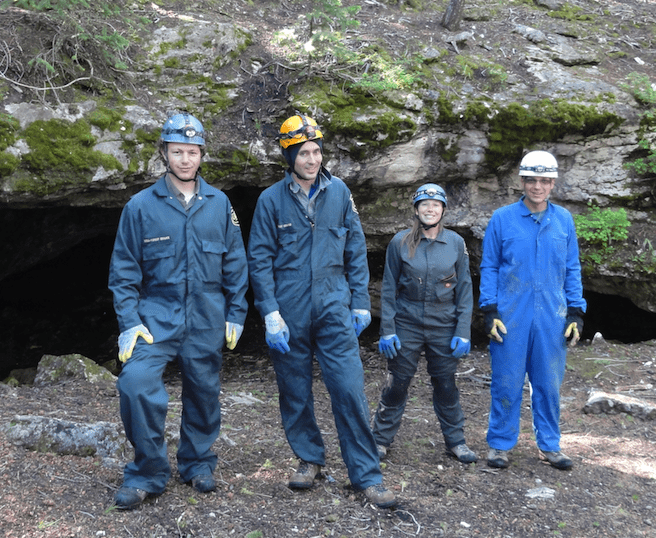 Three positions will be hired this summer for this project – 1 likely through the Geological Society of America’s GeoCorps program and two through the Montana Conservation Corps (MCC). MCC is open to accepting applications now. They close sometime in January. You can apply by going to http://mtcorps.org/join/big-sky-watershed-corps-conservation-internships/conservation-intern-program. The contact for the MCC intern positions is Mandy Hedstrom at mandy@mtcorps.org. If you have any other questions about the positions, please contact USFS Dan Seifert at dseifert@fs.fed.us 406-446-4520 or BLM’s Jenny Alexander via email at jalexander@blm.gov or by phone at 406-896-5248.